As an adult, buying a pair of shoes for yourself is usually fun and fashion focused, but buying girls shoes for your young girl is a whole different ball game and function should come first. When your little one starts crawling or standing, going barefoot or as close to it as possible is best. Shoes or booties with a soft sole will allow them to find their feet and sense of balance. Things change somewhat when your tot starts walking. At this point a sturdier, more protective sole is best. A structured insole will also help with balance and foot health. However, try to avoid any style that will alter the way she walks, this is particularly important if your little one has just started walking as they could be discouraged from doing so. Here we’re going to take a look at what types of footwear are available for your little girl, what works best and we’ll also answer some of those frequently asked questions. Knowing when to get your infants shoes can be a bit of a grey area, as no two tots are the same. As mentioned before, when your little one is fully mobile, confident and prefers to walk over crawling or being carried, now is the time to invest in a suitable, supportive pair of shoes. It’s quite common for girls to start walking before boys, but this isn’t a rule so don’t be too alarmed if your little girl takes a little longer than expected to get onto her feet. Typically, most babies take their first steps sometime between 9 and 12 months of age and are walking well by the time they reach 14 and 15 months old, though some little ones don’t start to walk confidently until around 17 months which is perfectly normal. If you’re not sure which shoe size to choose, take a look at our girls shoe size guide. A summer wardrobe staple for any mini fashionista, girls canvas shoes are versatile, comfortable and offer a lightweight yet sturdy alternative to shoes and trainers. Perfect for warm and sunny weather due to the breathable nature of the fabric, they also come in all sorts of designs and styles. However, they aren’t suitable for wear in wet weather as they aren’t waterproof. Wet or damp shoes can cause unnecessary sores and discomfort, as well as providing an environment that could lead to infection. If your girls canvas shoes do get wet, always ensure they’re completely dry before wearing again. Where would any of us be without a pair of trusty wellington boots? They seem to be the go to footwear for a lot of little girls and we’re sure they’d wear them all year round if given half the chance. But girls wellies are occasional footwear and should be treated as such due to the unstructured and often wider fit. 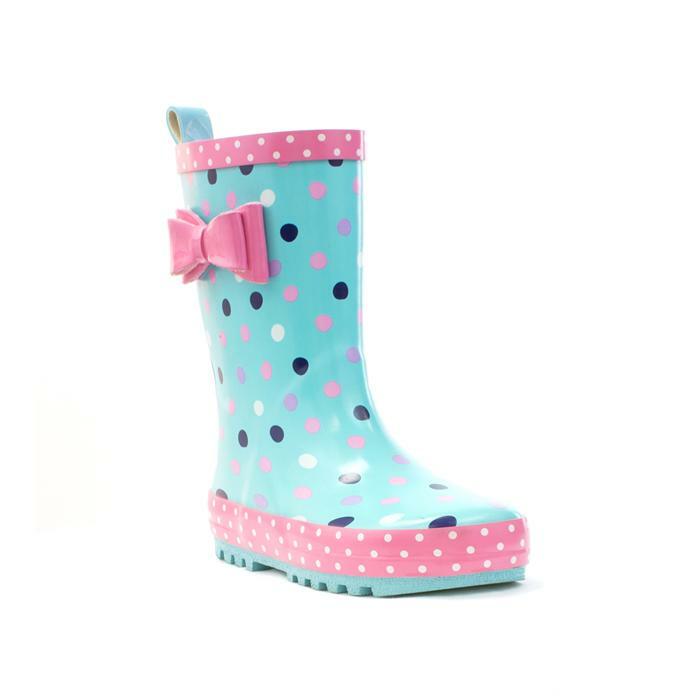 Available in a variety of designs, wellies are great for keeping little feet dry in wet conditions and protecting against the elements. When it comes to buying wellies for your tot, don’t be tempted to size up so they can wear chunky socks, this will only cause issues with walking and could be a potential trip hazard. Wellies that are too big can also cause sores due to the additional movement. Slippers are the epitome of comfort and there’s nothing more satisfying than sliding into a nice pair of slippers to keep your toes warm. The perfect bedtime companion, girl’s slippers come in a variety of styles and designs. Whether it’s booties, easy fastening slippers or elasticated slippers, there’s definitely something to suit. Slippers with a easy fastening are more suitable for younger feet as they can be secured, making it easier to walk without too much movement on the foot. However, you should avoid putting your little girl in hard soled slippers before she’s able to walk confidently on her own. When buying slippers, always make sure they have sufficient grip on the soles. If the sole is smooth, it can make it easier for your little one to fall, especially on tiled or wooden flooring. Buying a pair of little girls trainers can be challenging. What funky style to choose, which of their favourite characters should be on them and what type of fastening are decisions you’ll have to make. Trainers are generally foot friendly as long as they’re measured correctly, some can be quite narrow, so it’s important to check that they fit comfortably before prolonged periods of wear. A toddlers feet can sweat quite a lot, so avoiding trainers with a fully synthetic lining will reduce this, trainers should also be worn with cotton socks as a preventative. 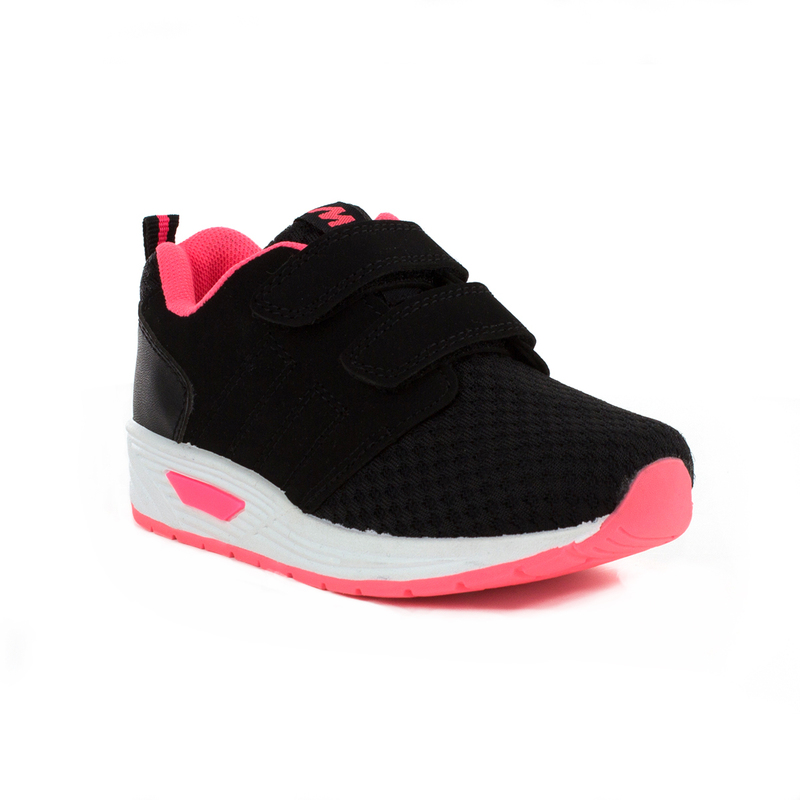 Trainers for young girls come with a variety of different fastenings. Most come with laces or easy fastening, as these are a more suitable and secure way to fasten the shoe and they will help hold the heel in place when in movement. When your tot starts nursery or school, it’s an important and often daunting time for both you and them. One big thing is getting the school uniform right. Choosing the right girls school shoes to go with it are just as important. The biggest thing to consider is comfort, your little one will be wearing the shoes all day, so it’s imperative that they’re right for their feet. Slip-on shoes can cause your little girl to clench her toes to keep the shoes on which can cause pain if done over a prolonged period of time. A easy fastening or lace ups would be a more suitable alternative for your little miss. 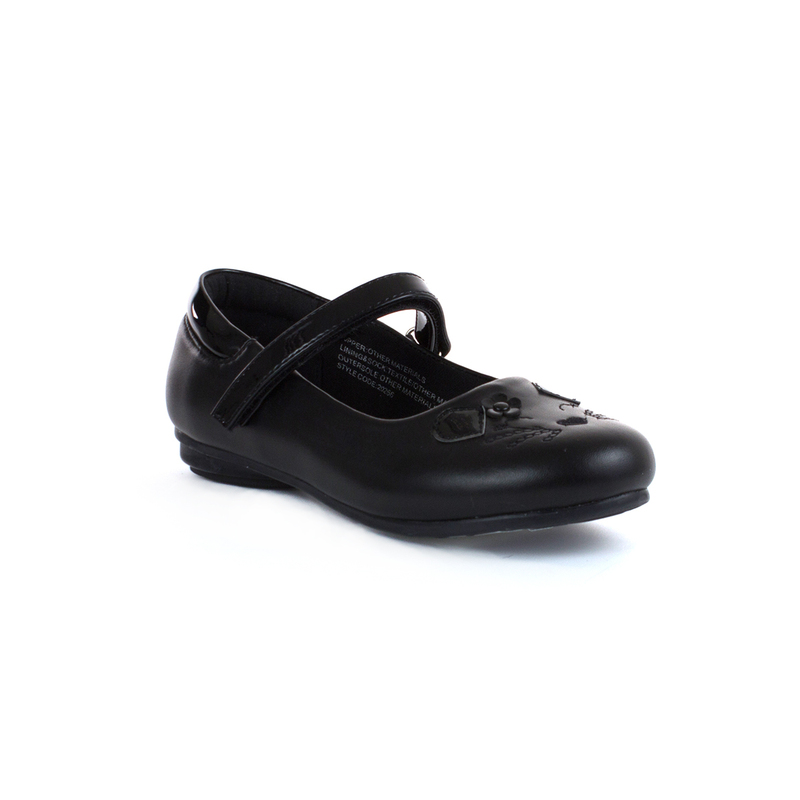 A flexible yet supportive cushioned sole will also be the most comfortable for day to day school life. As they grow up quickly, your little girl should be measured for new school shoes every 6 months, this will ensure she’s wearing the correct size and width and her feet are continuing to grow without issue. What would summer be without a gorgeous pair of sandals? There’s nothing quite like feeling the warm summer sun on your toes and we’re sure your little one would agree. Girls sandals are the perfect footwear for any sunny day and will compliment a pretty dress or a funky pair of shorts if your girl prefers a more casual look. Available in a variety of different styles and colours, whether your little one would like easy fastening sports sandals or a sparkly pair of wedge sandals, there is definitely something to take her fancy. Open toed sandals are less restrictive than closed shoes so they can help to allow for the rapid growth of little girl’s feet. As sandals don’t support the foot in the back and the front, they aren’t suitable for continued wear and can cause pain or blisters if worn excessively due to movement of the foot. 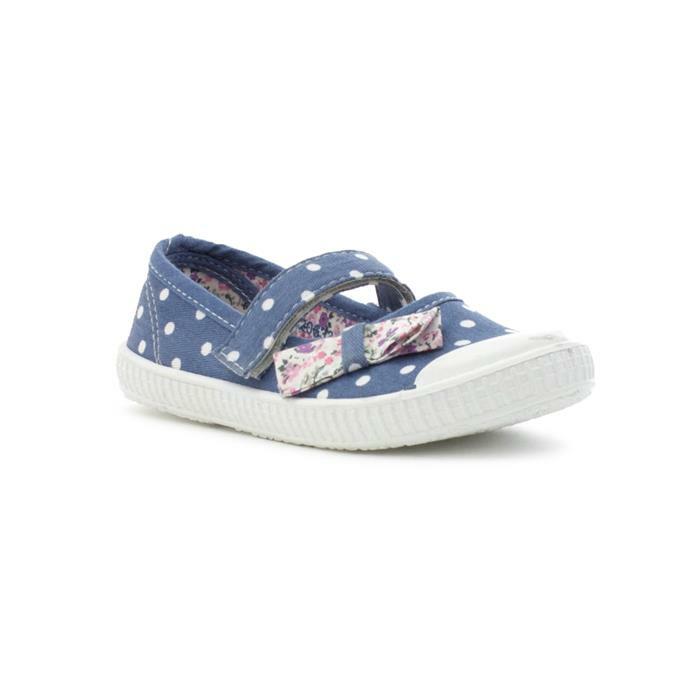 Possibly the best easy fastening shoes for your little one, they can easily be opened by even the smallest of hands and because the easy fastening straps are adjustable, they can be changed to suit the shape of the foot without issue, allowing the foot to be secured and reducing the amount of movement on the heel. Easy fastening shoes are an extremely popular choice and many different styles are available. When it comes to ease of use, slip on shoes are definitely at the top of the list. 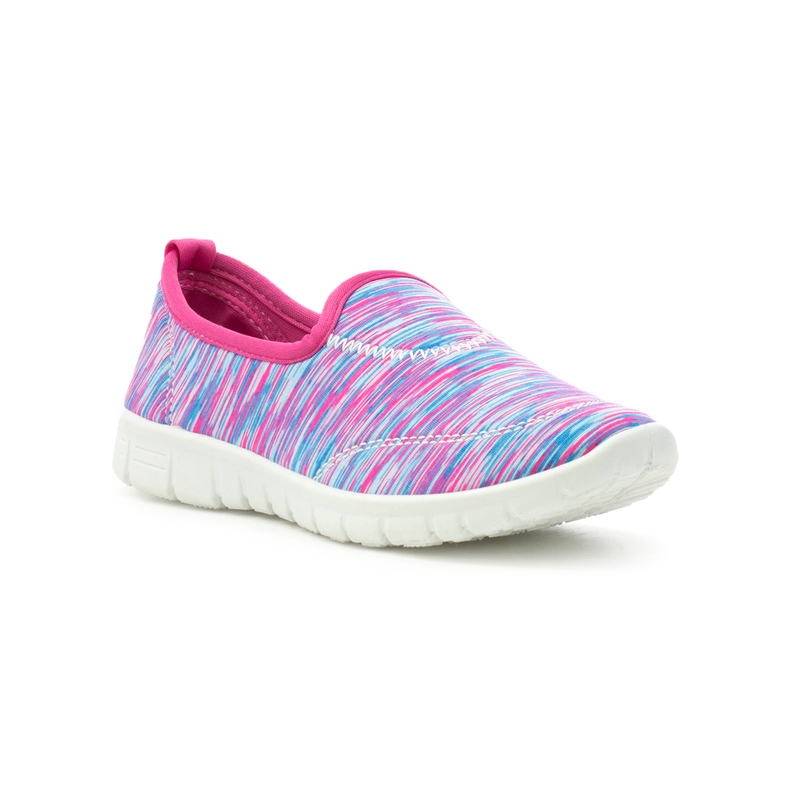 Easy to put on and easy to take off, little girls slip on shoes will help to make your little one more independant and will also make it much easier to get them dressed and out the door when in a hurry. Slip on shoes aren’t always suitable for every child, if they’re too loose they can fall off the heel, they can become a trip hazard when a youngster has just learned to walk. They can also cause your girl to curl her toes to keep them in place while walking, this can cause issues if carried out for a prolonged amount of time. If slip on shoes fit well however, they’re ideal for little girls. Check out our girls shoe fitting guide to make sure you get it right!. A nice design feature as well as a functional means of fastening, buckles are easy to handle and as they’re adjustable, they’re suitable for securing a little ladys shoe. There are a few things to be aware of when buying shoes with buckles, always check to see where the buckle sits on the foot to ensure there won’t be any irritation. It’s also worth checking that hole spacing is suitable for fitting, it’s tempting to add your own but this could ruin the integrity of the shoe. When Should Girls Learn To Tie Their Shoes? Teaching kids to tie shoelaces can be a tricky task, but along with riding a bike, once learned it will be a skill for life. Generally, girls learn to tie their shoelaces a little before boys do, usually around the age of 4 or 5. This is a great skill to learn at this age as it will not only build motor skills but will build confidence, teach patience and they’ll become more independent as a result. The best method to use would be the “bunny ears” method, this is a simple yet effective way to tie laces without confusing your little one. How Long Should Toddler Shoes Last? The feet of an infant grow very quickly and it’s recommended that their feet are measured every couple of months once they start walking. It’s advisable to do this as it’s not unusual for toddlers to have a growth spurt and within a matter of weeks, things can change dramatically. Between the ages of 1 and 3, it’s quite normal for a toddlers feet to grow by 1.5mm to 2mm per month. This will decrease as they get older. Not all toddlers will grow at this rate so don’t be tempted to buy bigger sizes for them to grow into. As kids grow so quickly, it can sometimes seem like they’re only in a new pair of shoes for 5 minutes before they no longer fit. It may be tempting to hold on to them for younger siblings, and while we wouldn’t ordinarily recommend this as not all children have the same shape feet, they could help a child less fortunate in a developing country. Here at Shoe Zone we actively encourage donations of unwanted, reusable shoes through a partnership with Children in Need who will make sure they go to a very appreciative new owner. As your little girl finds her feet and leaves behind the baby phase, it can be hard to keep up with her. But, by choosing the right shoes, you can be sure she always puts her best foot forward in whatever she does.